When your computer is idled for a certain time, Ubuntu goes into screensaver and lock it self. You’re prompt to enter password to continue your session. 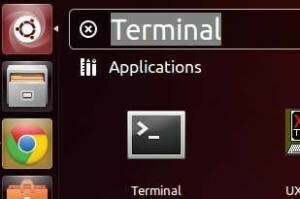 Below steps will show you how to prevent your screen from locking on Ubuntu 13.04 Raring Ringtial. Thanks, it also worked on Ubuntu 13.10. The issue I encountered was a screen lock on closing the lid. This seems to have done the trick, I do not have to sign in every time I close and open the lid anymore, thanks again! I tried to edit /etc/systemd/logind.conf different ways, especially “HandleLidSwitch” (now set to ignore as anything else seems to suspend on lid-close) and “LidSwitchIgnoreInhibited” (now hashed out and inactive), of course I checked dconf-editor and everything for lid-action looks fine (lid-close-ac-action set to blank). Would you have any idea or advice as to how to fix this by any chance? There is an option in Settings -> Privacy, but it did not work for me. Manually in dconf worked fine. I suppose not everyone will want to do this part. If your system rarely suspends or if you have a laptop you take everywhere, then you might want to leave this option. Me, I only use my laptop at home. With kids screaming all around me, forcing me to close my laptop, reopen it, close it, reopen it – much better without that lockscreen.